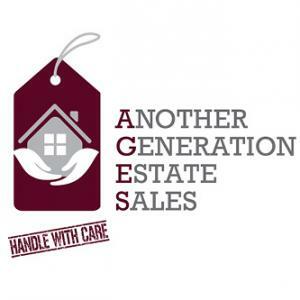 About Another Generation Estate Sales Inc.
We are an Estate Company. We research items, set up for the sale and host the sale and take care of the items post sale. What makes us different is that we offer a full service to our clients. After the sale we will perform the clean out at no extra cost to the client. Toys! Sports Memorabilia! Autographs! Collectibles!! Last Day Sale! Another Generation Presents a Unique Off-site Estate Sale 50% Off Saturday!! Another Generation Presents an Oak Forest Estate Sale 75% OFF Saturday!!! Antiques, Collectibles, Vintage Lombard Sale! 75% OFF! Another Generation presents a Vintage MCM Antique Offsite Estate Sale!! Another Generation presents an Eclectic Schiller Park Estate Sale! 50% Off! 65% Off Furniture!! Another Generation presents Beautiful Elmhurst Estate!! 50% Off Everything Saturday!! Another Generation presents a Westmont Estate Sale! 50% Off SATURDAY ONLY! Another Generation presents a Lombard Estate Sale Blowout!! Another Generation presents a Lombard Estate Sale 75% off FURNITURE! Fill a Bag $10!! Antiques, Collectibles, Vintage, Eclectic Estate Sale!! 50% OFF EVERYTHING!! Lombard Estate Sale! 50 Years Worth!! 50% OFF!! Another Generation presents Chicago Estate Sale! 50% Off Saturday! Off-site Estate Sales! 3 Homes under one Roof! 50% Off Wednesday !!! 2nd Part Arlington Heights Sale! Still Packed!! 50% OFF! Arlington Heights IL. Moving Sale! Another Generation presents a WOOD DALE ILLINOIS Estate Sale! 50% off Saturday!! Estate Sale! Something for Everyone! 50% OFF!! Another Generation presents Classic Elmhurst IL. Estate Sale! 50% OFF! Another Generation presents a Chicago Estate Sale! 50% OFF Saturday!! Another Generation presents Chicago Pullman District Estate Sale! Another Generation presents a Huge Off-sight Estate Sale! Part 2!! Another Generation presents Part 1 of 2 a Huge Off-sight Estate Sale!! 50% OFF!! Another Generation presents a Chicago Multi-Generational Sale!! Evergreen Park IL. Estate Sale!! 50% Off Everything Must GO!! Another Generation presents Vilamps Park IL. Estate Sale! Antique Dealer Blowout Sale!! $1-$50!!! Nothing over $50! Another Generation presents Chicago Estate Sale!! Sunday 50% Off! Woodridge Moving Sale! Sunday 50% OFF! Another Generation presents McHenry Il. Estate Sale! Follow Another Generation Estate Sales Inc.